I am now enjoying a week off just to chill out a bit at home before I start the new one. I will now be working half a mile from my house – I’m swapping my hour’s drive to work for a 10 minute walk, and I can’t wait to get that time back! 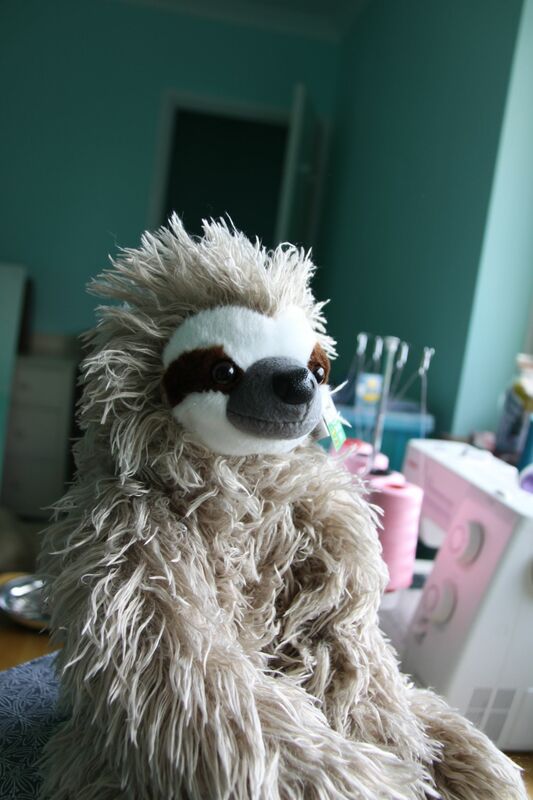 I’m going to spend at least some of that extra time sewing – yay, more sewing time! I have spent most of this week doing admin-y chores at home that I had been putting off, and needed to be done, but I did manage to get a bit of sewing in as well. 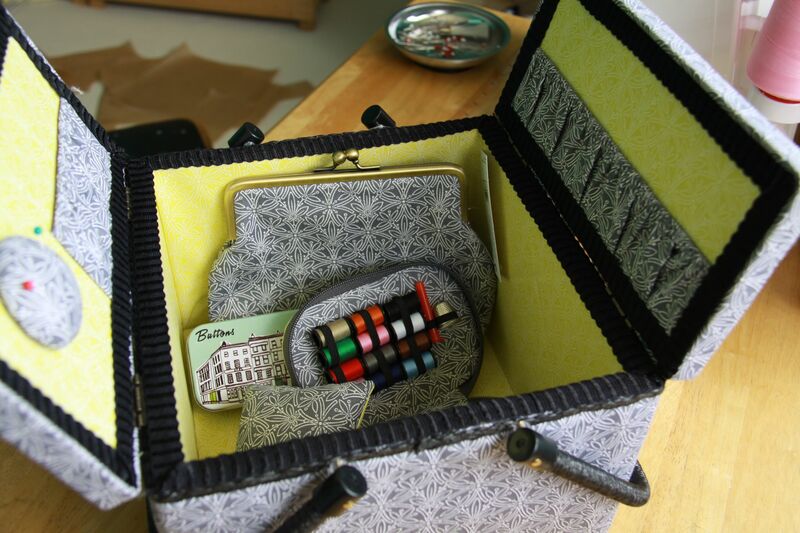 On Wednesday evening my lovely friend Kate came over to do some sewing. 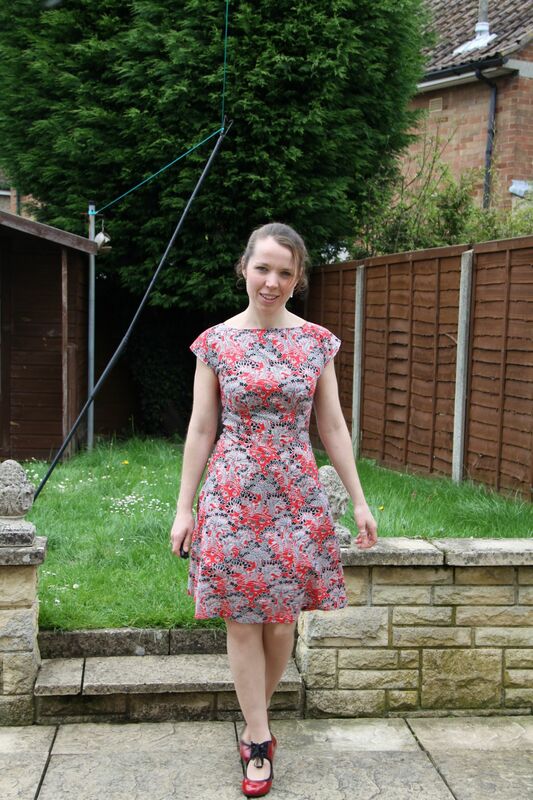 I showed her how to use my overlocker and she knocked up a gorgeous infinity dress. So speedy! I managed to trace and cut out the pattern for a Renfrew. I made the top up yesterday (my first garment that I’ve ever finished in one day! ), and I’ll do a blog post on that shortly. 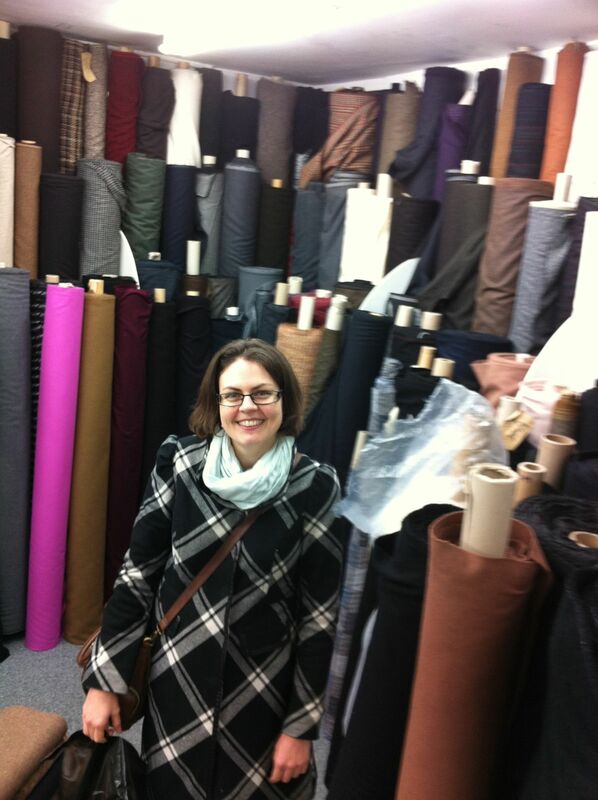 For now I am going to talk about one of our favourite topics – fabric shopping! The fabric for my Renfrew came from a shopping trip to Goldhawk Road in March with Claire, Daniela, Jenny, and my friends Clare and Laura. Having been to one of London’s fabric meccas, Walthamstow market, I’d been meaning for ages to take a trip to Goldhawk Road. I did manage a very fleeting visit a few months ago, when I had to go to London for a work training course, and went down a bit earlier so that I could call into Goldhawk Road on my way, but I literally had 40 minutes there, and only managed to visit two shops. That didn’t stop me from buying a fair amount of fabric (mainly gorgeous lawns from Classic textiles), but I wanted the chance to have a proper explore. For this trip I went armed with my colour wallet from my House of Colour colour analysis, and a list of exactly what I was looking for. Admittedly it was a pretty long list, but I wanted to make sure that I only bought fabric with projects in mind, to try to exert some control on my ever-growing fabric stash. 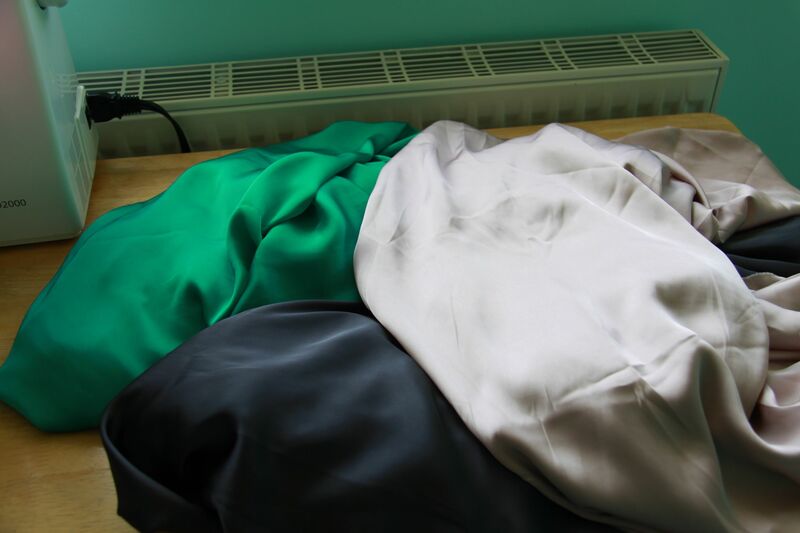 We started in A to Z fabrics at one end of the road, where I got some gorgeous stretch cotton sateens, which were one of the things high on my list of things to buy. I’ve got the By Hand London Charlotte skirt pattern waiting to be made, but didn’t have any suitable stretch woven fabrics to make it out of, I also want to make some Anna/Charlotte and Elisalex/Charlotte mash-ups, and I want to try making the Stella blouse in a stretch woven – I think it would allow a tighter fit, especially round the sleeves, while still being able to move! And so the first purchase of the day was made! 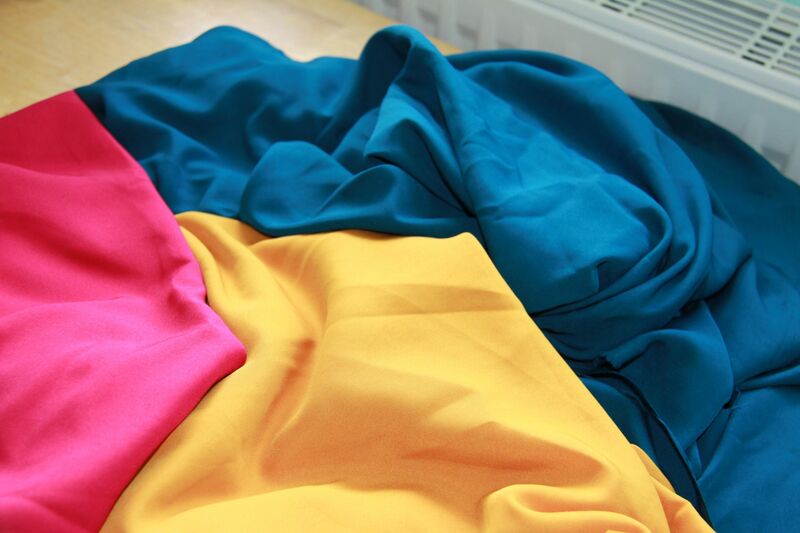 I got a 5m length of this gorgeous turquoise stretch cotton for £30, and got 3m of the pink for £6/m as it was the end of the bolt. From A to Z, we worked our way along that side of the road, visiting every shop along the way! 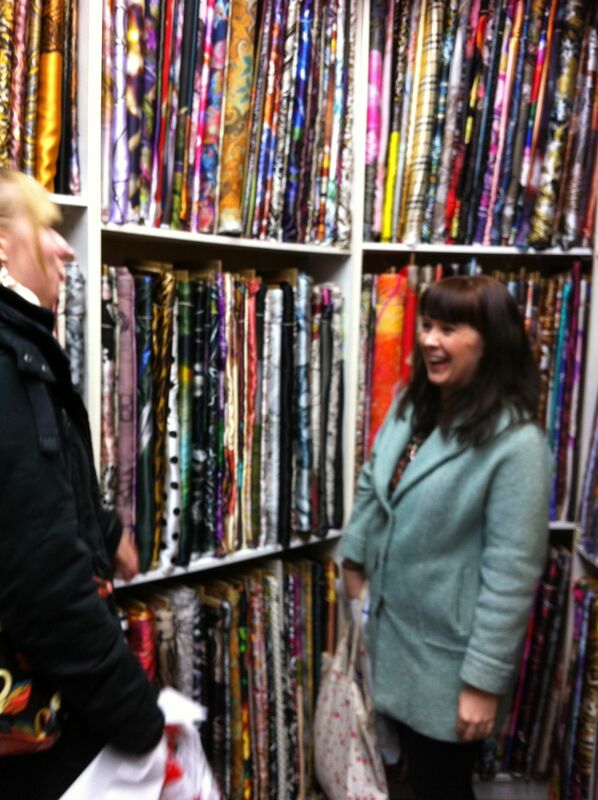 Of course, I cannot now remember exactly which shop I got each piece of fabric in, but I did get a few pieces in another shop along this side – but I really can’t remember which one! Whichever one it was (it was the same one Claire got the lace for this lovely Laurel), I got 2m each of these beautifully drapey poly viscoses, for £2/m. 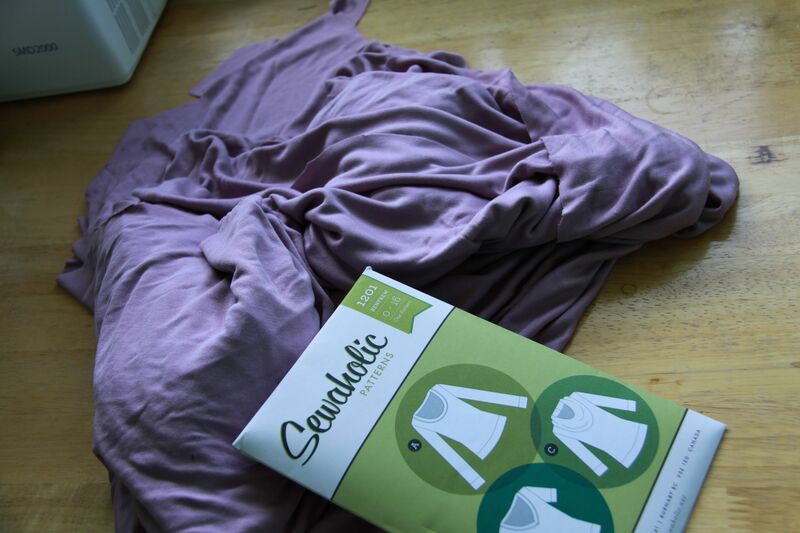 I’m going to use at least one of these to try making a draped top, following Tania’s tutorial. The mustard yellow one is not within my palette of allowed colours, but I am going to use that to make something for my sister. I’m thinking that the pink might make a great lining for a Flora dress I’m planning to make, so I might need to pick up some more of that. 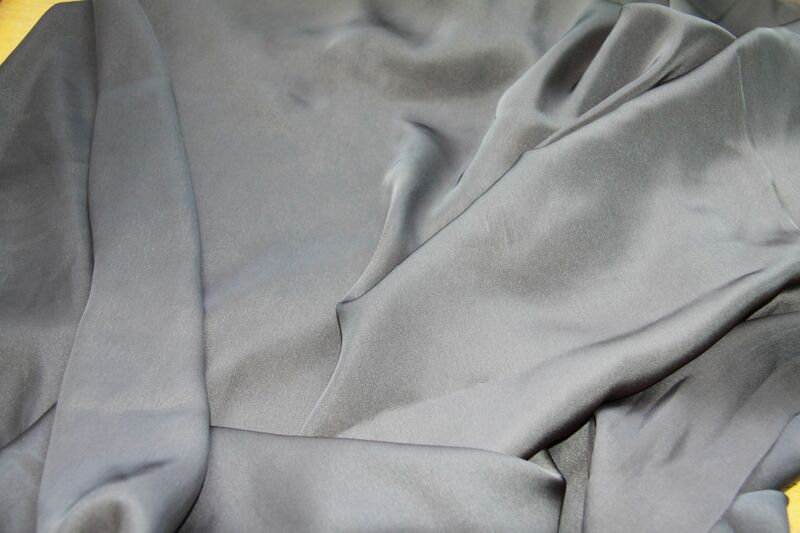 In the same shop, I also got some lovely silky grey fabric (again, to make something drapey), and 1 m of this printed grey silk. 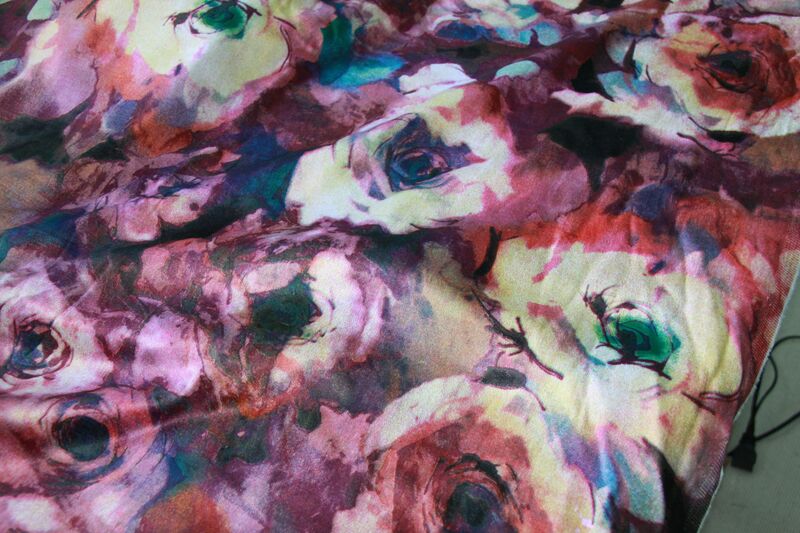 That was my most expensive fabric of the day, at £10/m, but I loved it so much I couldn’t resist. 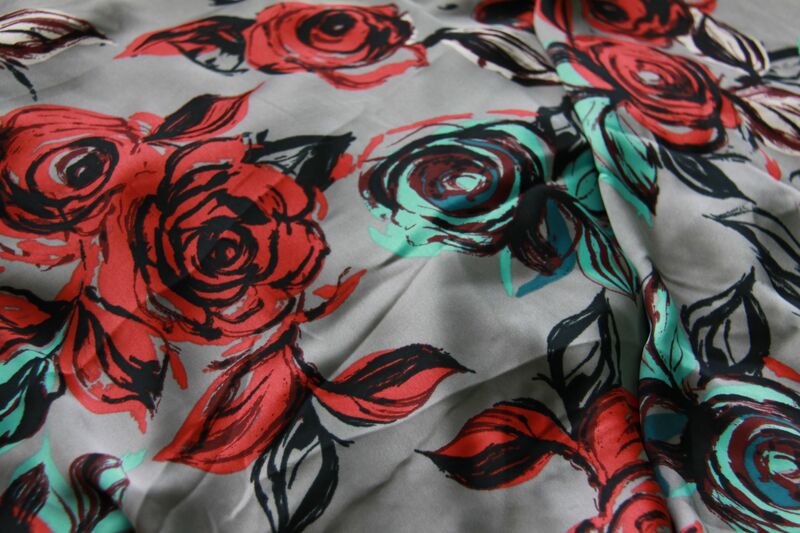 With just a metre of this, it’s destined to become a gorgeous top. It was also in this shop that I bought fabric for a Zinnia skirt (which has been made, but needs some tweaking to the pleats, which won’t behave themselves), and that I also used to make the tie for my Grandad. It’s a Chinese brocade, which was £5/m. I wanted 2.5, but the owner refused to sell me less than the 4m that were left on the bolt. We compromised on me paying for 3.5m, and I’ve still got a little left after the skirt and tie. Once we’d visited every shop on that side of the road, we stopped for a bite to eat before continuing onto the other side. As last time I visited, I did very well in Classic Textiles. 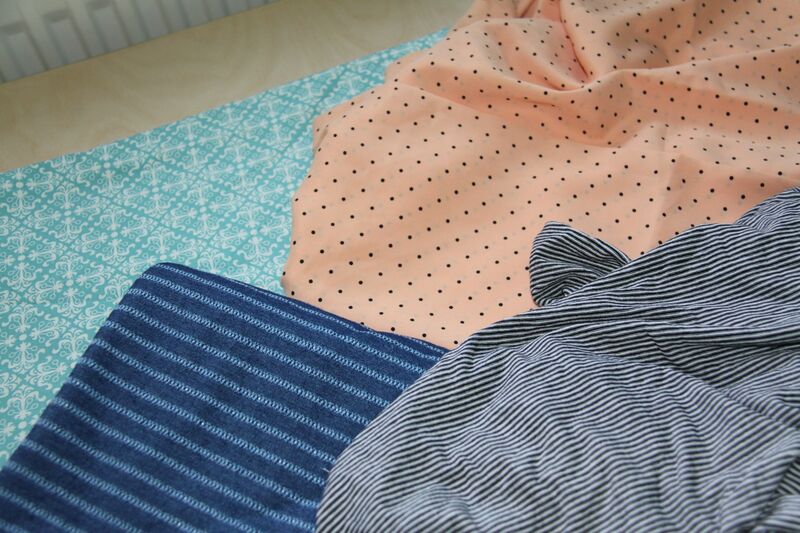 I got a selection of lining fabrics, which is one of the big things I was in need of. 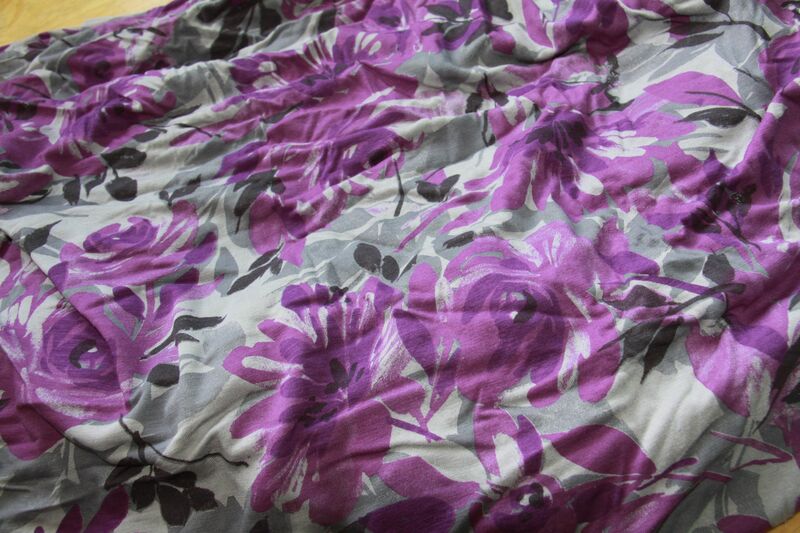 I think theses were £3.50/m, and they’re a much nicer fabric that the cheaper poly lining. 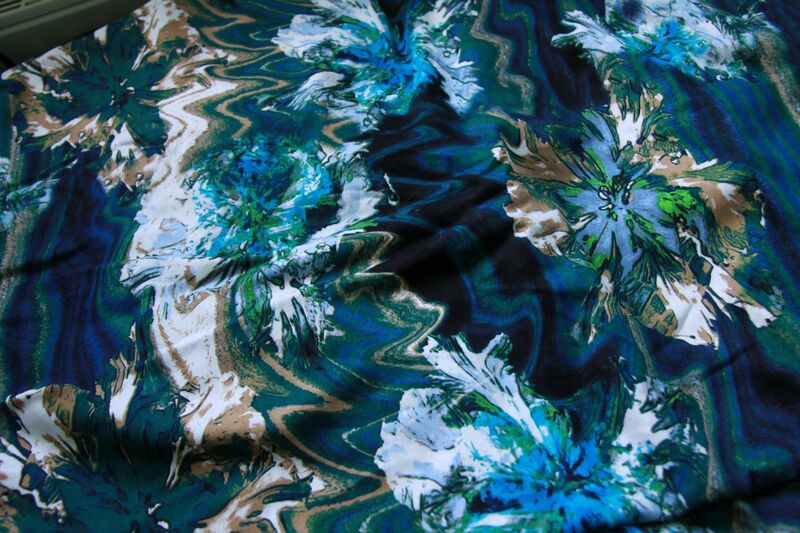 I’m not sure exactly what the fabric is, but they’re lovely and silky. 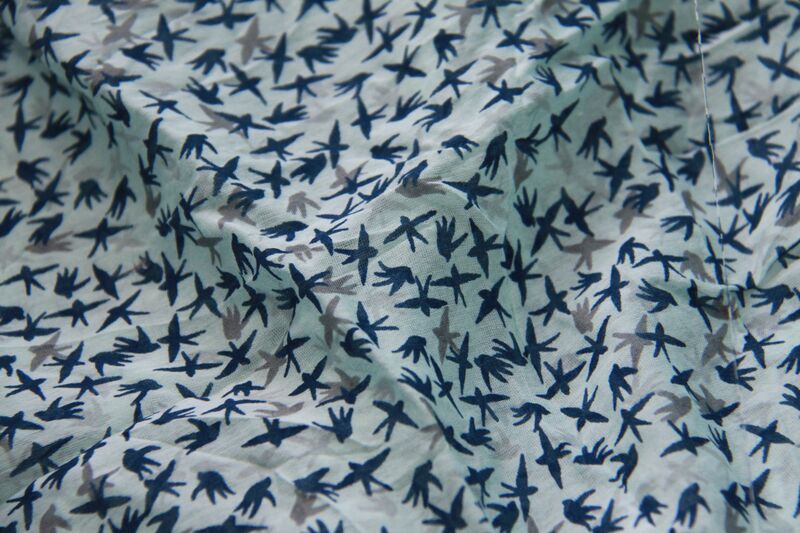 I also got some cotton silk, which I am going to use to line bodices, and Claire, Daniela and I each got 1.5m of this pretty bird print cotton silk. It’s going to be interesting to see what we each come up with to make from it. I’m thinking a blouse of some sort, as it’s quite sheer, so would work well for a looser blouse worn with a vest top underneath, but I haven’t decided on a pattern yet. If you have any suggestions, I’d love to hear them! 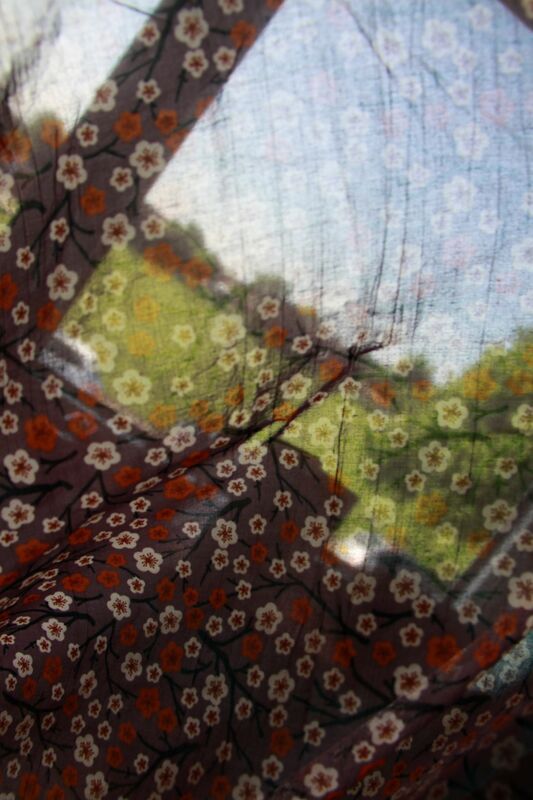 Classic textiles was also where I got the cotton lawn for my Sew Dolly Clackett Anna dress. At £7/m, this was again one of my more expensive fabrics of the day, but I used less than 2m to make it, so still only £14 (plus a couple of pounds for the zip) for the dress – not bad! And just as the shop assistant was cutting my last piece of fabric for me, I saw this fabric on a bolt just outside the door. This just screamed Sew Dolly Clackett to me. Probably helped by the fact that it was standing next to the swimmers fabric that Roisin has made some famous. 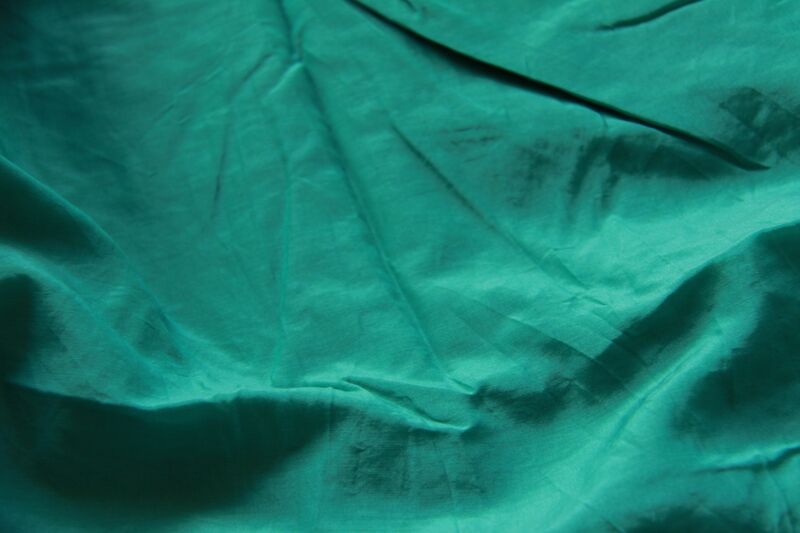 This was a polycotton, and only £1.50/m, so I got 3m of it. I’m planning on making Simplicity 2444 with it, but probably with a gather skirt instead of the pleats. 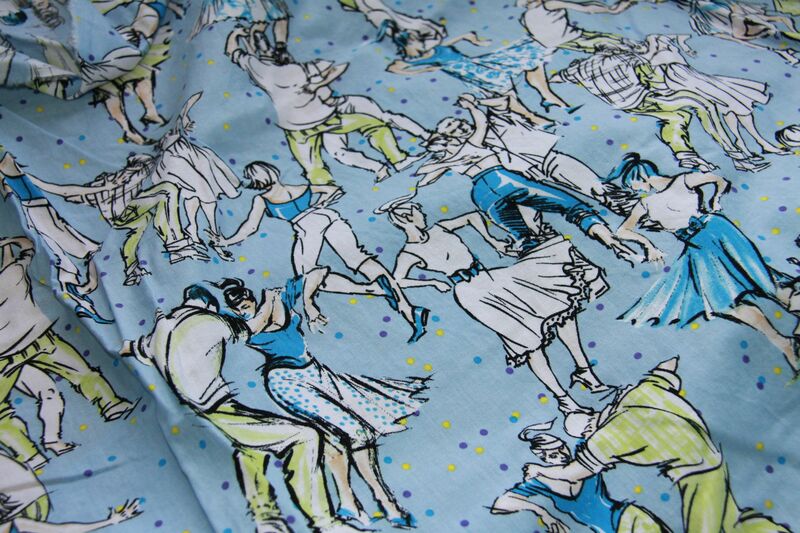 I can really see this as a dress with a fitted bodice and full skirt, great for dancing in – much like the lady on the fabric – the one in the middle there, dancing on her own, all in white, with a belt on! As you may have guessed, I did not get this made in time for the Sew Dolly Clackett competition, but I am definitely still planning on making it up, I think it will make a wonderful dress. 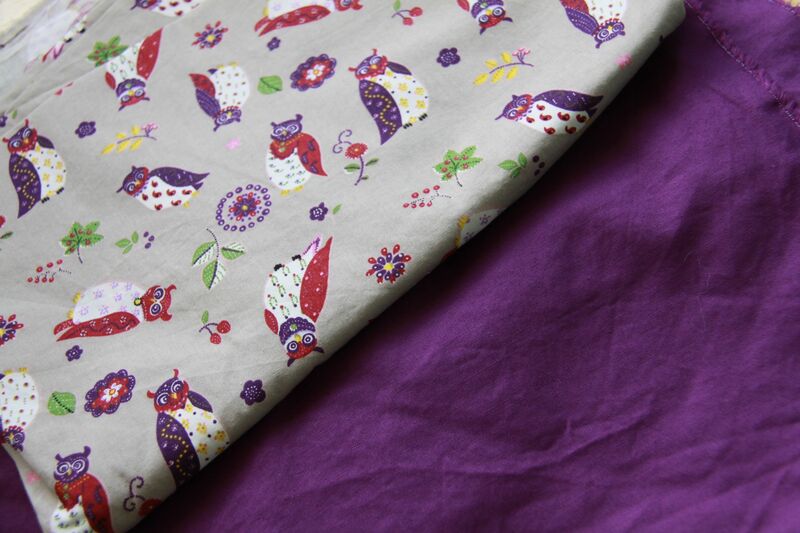 In A one fabrics I got this owl print, to make Simplicity 2451, which was the winner of my Miss Bossy Patterns March challenge. Unfortunately, with a couple of sewalong deadlines, I didn’t manage to find time to get this made in March, but it will be made soon! I’m going to use the purple to pipe the seams. 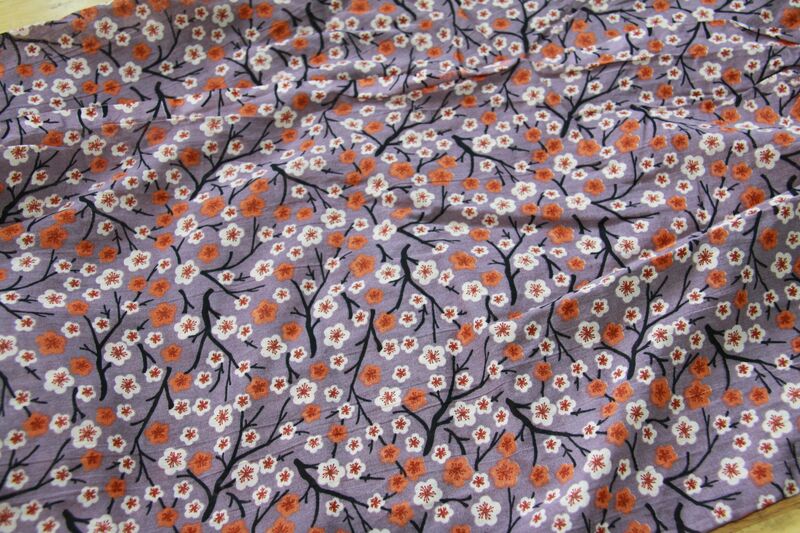 I can’t remember which shops they came from, but I got a couple of jerseys for making Renfrews – the pink one at the top of the page, which is the one I made yesterday, and this purple and grey flower print one. They were each £3.50/m. And last but not least, I got this cotton, for making up Tilly’s Mathilde blouse. I wanted something with a bit of drape for this blouse, so it doesn’t look too boxy, and this cotton isn’t too stiff. It’s also quite sheer, as you can see, which I think will help with the pattern. I have probably bored you with all my fabric now, sorry! 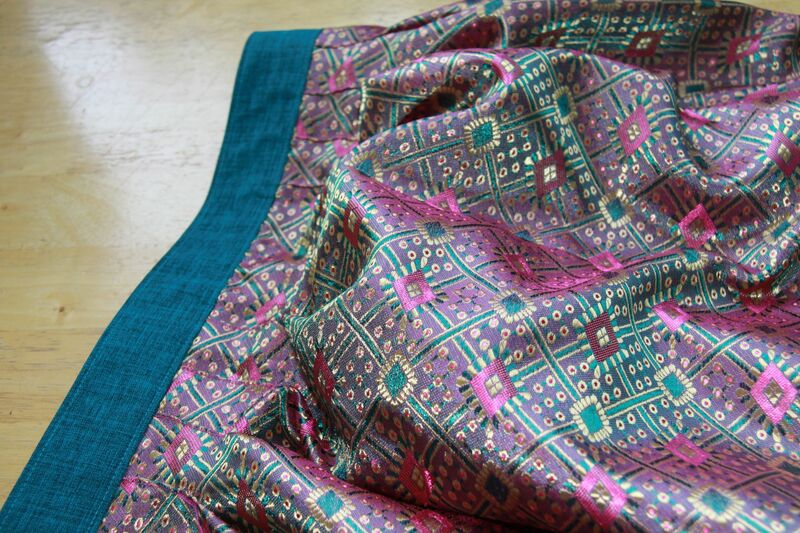 Although I bought a fair amount of fabric, pretty much all of it was bought with a pattern that I already have in mind, which was my aim. Three of them have already been made up, and hopefully the new job will allow me a bit more time to get some more of them sewn up in the next few weeks. 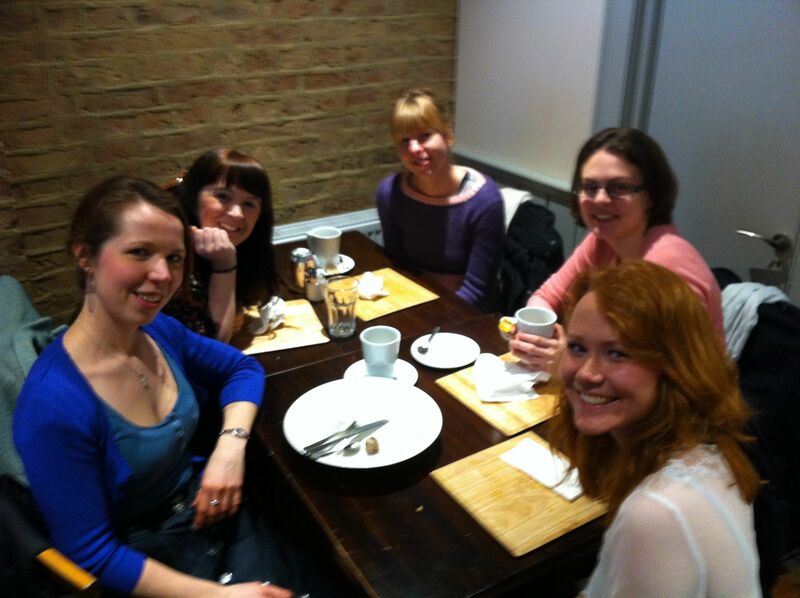 And it’s off to Goldhawk Road again tomorrow for Rachel’s NYLon meet up – I’m sure I’ll see some of you there! Again, I have a very specific list of things to buy, but it’s much shorter this time! One thing I would love to find is some suitable fabric for a Robson coat. After seeing Fiona’s (two!) and Claire’s lovely versions, I am desperate to get this sewn up. I am lacking a decent spring coat – I have thick winter coats, waterproof coats, or short jackets – and Robson will be perfect. I have the pattern, but have yet to find the right fabric. 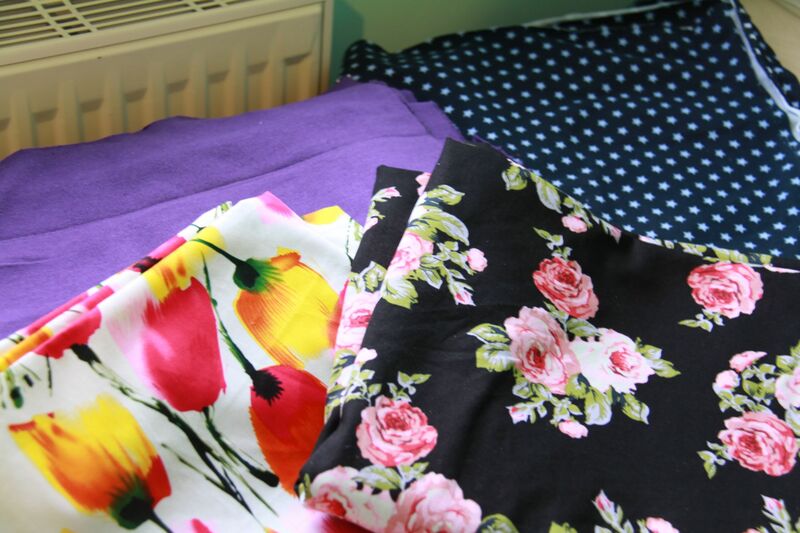 I think Goldhawk Road is my new favourite fabric shopping location – the choice of shops is brilliant (I think there are about 15 on a short stretch of road), and the prices are great, but so is the quality. While Walthamstow market was super cheap, the quality just didn’t seem to be quite as good. However, I did go there early on in my sewing days, so it could just be that I didn’t really know what I was looking for. Ah, I’ll just have to go back! What I think Walthamstow wins on though, hands down, is notions. I got loads of nice trims when I went there, and zips! Ah, the zips! 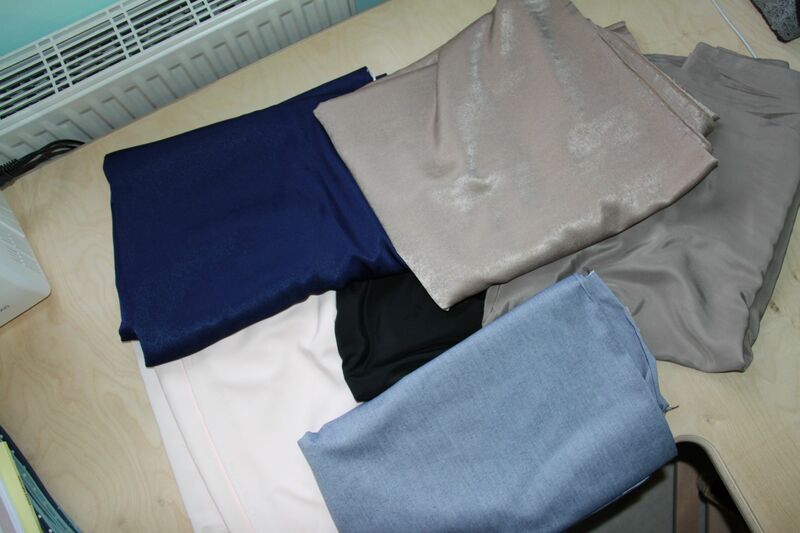 I got invisible zips there 4 for a £1 for shorter (skirt) zips, 3 for £1 for longer dress zips. Unfortunately I didn’t get enough though, and have had to resort since to buying them elsewhere for £2 each. I must go back at some point and seriously stock up on zips! I’d better migrate inside now, before my laptop overheats (it’s started whirring quite loudly! ), or I get sunburnt (oops, seemingly it’s too late for my stomach! ), and get on with the more boring jobs I have to do today, such as sorting out car insurance. Ugh. But I’m looking forward to seeing lots of you tomorrow!